Come along to the usual mixture of boozing and dancing as we heart Fenchurch this month at the Macbeth on the 20th October! 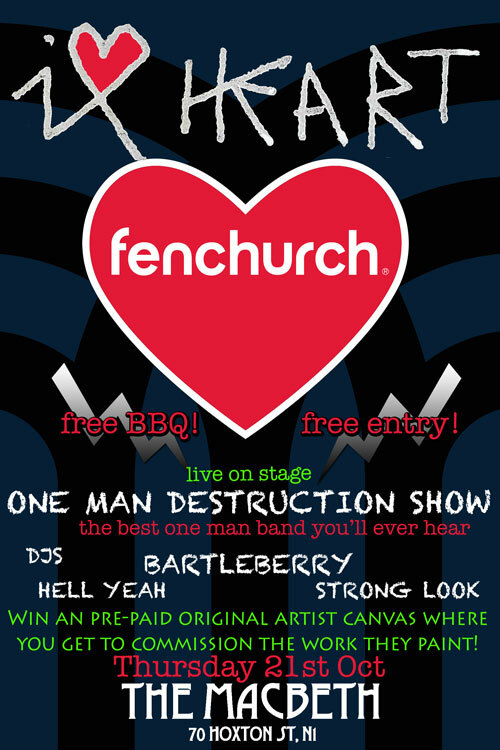 There’ll be a free BBQ from 8 (ish), free music, artwork to be won and a few free bevvies floating around too. Hi there! I’m a fan from the Philippines and I was just wondering if you can help me with my fixed gear setup. I really love watching your videos doing your tricks that is why I was inspired to build my own fixed gear bike. Just send me an email so that I can send you all the things you need to know about my “project”. Thank you very much and have a good one!